Ankle weights are a fitness tool designed to add extra weight to your lower body during exercise or daily activities, helping you build muscle through resistance training. Although ankle weights can help improve your leg strength and potentially boost your speed, they may also be potentially dangerous for athletes and exercise enthusiasts. 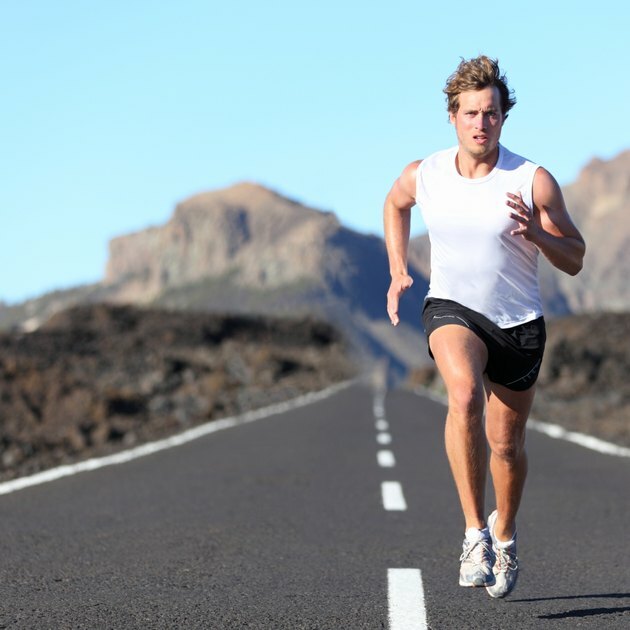 Safer alternatives exist for increasing how fast you can run. Ankle weights are small pouches filled with heavy materials such as sand, pellets or metal bars, ranging in weight from 1 pound to 5 pounds each. Ankle weights attach to your leg between your foot and calf with a Velcro strip and are designed to stay securely in place during exercise. Exercisers may wear ankle weights while walking or running to provide extra resistance to leg movements, in turn building strength and muscle. For runners and other athletes, wearing ankle weights can also help increase the difficulty of activities such as abdominal exercises, helping boost core strength and stability. According to Mark Fenton, author of "The Complete Guide to Walking for Health, Weight Loss and Fitness," wearing ankle weights can also slightly increase the amount of calories burned during an exercise, therefore assisting in weight loss. Like other forms of resistance training, wearing ankle weights can help you build muscle and strength by increasing the difficulty and intensity of various exercises. Because ankle weights fasten directly to your legs and don't require gripping or holding, they are portable, generally comfortable and may be integrated into a variety of activities. For runners, the ability of ankle weights to increase leg strength can offer advantages for running speed and endurance. Although wearing ankle weights during exercise can improve your leg strength, this fitness tool may also increase your risk of injury. Fenton notes that ankle weights can put unnecessary stress on your knees, which are relatively fragile to begin with -- particularly if you run or walk while wearing them. Moreover, the addition of unnatural weight to the legs can potentially alter your walking running gait, making it more difficult to move with a normal stride. If you want to increase your running speed, wearing ankle weights isn't the only way to accomplish your goal. Performing lower-body exercises with free weights, weight machines or resistance tubing can help you build muscle in your legs, in turn giving you the physical strength to run faster. In addition, practicing running at a quicker pace or integrating bursts of sprints into your workouts can help you become a faster runner.